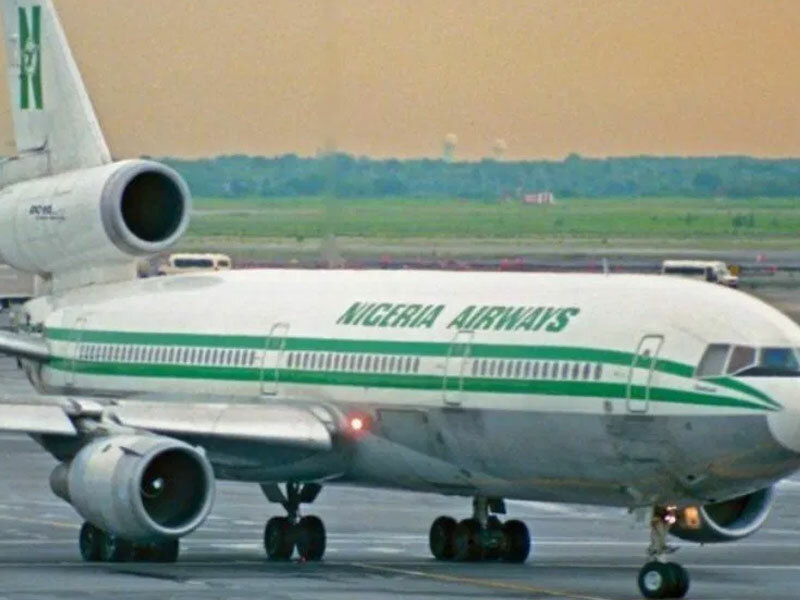 Uncertainty, anger and pain have remained the lot of former workers of the defunct Nigeria Airways Limited (NAL) who lost their jobs in 2003 when the federal government stopped the operations of the national carrier. It was finally pronounced dead in 2004 with its liquidation. Since then the clamour for the payment of severance package started. First, the foreign workers of the defunct airline were taken care of but government, even after selling the assets of the company did not see the urgency of also compensating the ex-workers of the national carrier in Nigeria. The clamour continued, as many of the workers of the defunct airline were losing their lives to sickness and death. Government’s insensitivity to the suffering of these workers shocked the labour unions in the aviation industry who joined hand to campaign and push that government should do the right thing by paying off the NAL staff who had put all their youthful days and skill to serve government through the national carrier. However, the federal government through the Ministry of Finance recently announced that half of the N45 billion, representing N22.5 billion would be disbursed to the former workers soon while the balance of N22.5bn would also be disbursed to them at a later date. According to the President Initiative on Continuous Audit (PICA), a department in the Ministry of Finance, 1,000 beneficiaries were supposed to be verified nationwide daily with 50 per cent of them, representing 500 coming from Lagos alone. 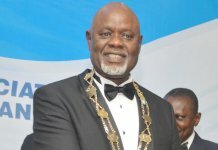 One of the beneficiaries and the President, Aviation Union Grand Alliance (AUGA), Lookman Animashaun, described the verification exercise as smooth so far on Monday. However, he noted that power outage occasioned by road accident along the Lagos airport link road, which destroyed electric cables that supply electricity to the Skyway Catering Limited, venue of the verification exercise, slowed activities and affected the early commencement of the exercise in Lagos. Animashaun explained that nationwide, a total number of 5,969 ex-workers of the airline would benefit from the exercise while a bulk of them would come from Lagos. He commended President Muhammadu Buhari and the Minister of Finance, Mrs. Zainab Ahmed for commencing the process. He appealed to the government to disburse the balance of N22.5billion as promised, saying that this would go a long way in addressing the challenges of the ex-workers who served the nation at the peak of their life. “The process started today (Monday), but because of small logistics problem as regards power, we were not able to finish up with the number that was earmarked for today. We will continue with where we stopped on Tuesday. “So far, we have done 250 people and we will continue tomorrow (last Tuesday). We were expected to do 1,000 retirees today in Lagos, Enugu and Kano and Lagos is expected to process the 50 per cent of the number because Lagos is the major centre. “In all, we are expecting 5,969 beneficiaries; the Minister of Finance has assured us that the balance would be paid within the next six months, we believe the Minister and Mr. President that the sum would be paid even before then. “So far so good, the organisation has been nice and we would have gone far if not for the power problem we had at the initial time,” Animaseun said. Also, Deputy Director, PICA, Mr. John Waitono who is coordinating the exercise in Lagos, said the agency had gone far with the exercise in Lagos. He explained that several stages would be required to be fulfilled before the beneficiaries would eventually be paid electronically. He stated that the exercise would be rounded up in Lagos latest by Friday while the payment would commence almost immediately through electrical payment. “We have gone far with the exercise today. This is the first day and you can see what we have done already. We had challenges at the beginning of the exercise especially with capturing because the light was interrupted and the issue of the server, too, but, they have all been resolved. “When you come first, you check your name on the list, you will now go for identification and then, clearing. After that, you are given a form to fill and they will check your documents if they appear as advertised in the papers. If this was in positive, you then go for capturing. “We are expected to round up the programme by this Friday and after then, the sum would be sent to their accounts for payment. You know we are in a cashless environment. Those at the Ministry would pay them after their clearance. Their bank details would be on the biometrics; passport would be captured. Then, we will generate payment voucher to the Accountant General of the Federation. “For everyone that is cleared, the officials would sign. We have representatives of The Independent Corrupt Practices Commission (ICPC), Economic and Financial Crimes Commission (EFCC), Auditor General and Ministry of Finance would sign the form for confirmation. Those are the ones that the sums would be sent to. Quality control of the Inspector General of Police would check and do data cleaning. Any of the group that has been cleared would be paid,” he said. 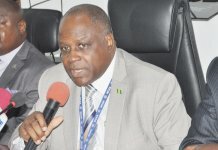 A senior aircraft engineer with the defunct airline, Mr. Frank Osch, expressed happiness with the commencement of the exercise; the same with former Senior Personnel Officer, Nigeria Airways, Mr. Felix Agbagwu, who also commended the government for the payment despite various failed promises. The federal government while making the payment to ex-NAL workers has vowed to punish those that ran down the national carrier that held so much hope in Africa before its demise. Government has already constituted panel to probe how the fortunes of rested airline nosedived. 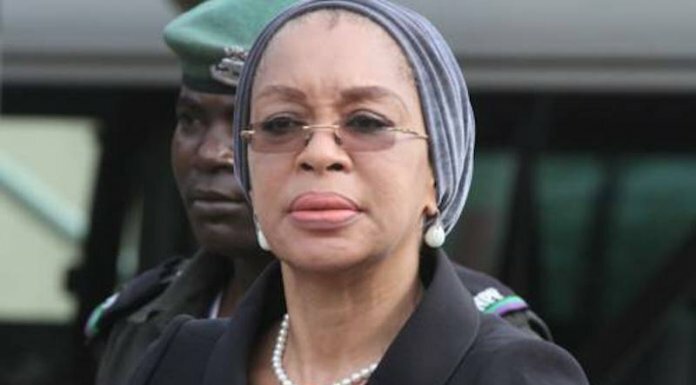 The Buhari administration said it was set to initiate the prosecution of persons indicted in the Justice Obiora Nwazota Judicial Commission of Inquiry White Paper. The panel was set up to find out why the airline collapsed and other issues that happened in the sector at the time. Indications showed that government is looking into how to recover huge sums of money from individuals, organisations and agencies that mismanaged the airline. The Justice Obiora Nwazota, who served as chairman of the Judicial Commission of Inquiry, said the panel submitted its white paper to government in 2002. A source said government may constitute a team to initiate a probe into how the fortunes of the rested airline dwindled before it went under. President Muhammadu Buhari has indicated interest in the white paper on the Report of the Judicial Commission of Inquiry for the investigation of the management of Nigeria Airways Limited, 1983 – 1999. “The white paper indicted some high profile Individuals and organisations/agencies from whom various sums running into billions of naira were to be recovered. “The panel was mandated to look into the financial position and financial management of Nigeria Airways and to examine all books of account and records to ascertain their compliance with appropriate regulations,” disclosed inside industry source. The panel was to investigate the application of funds, including budgetary allocations, special grants, loans for specific projects and proceeds from the sale of its product and services as well as verify, evaluate, ascertain the authentic level of indebtedness between 1983 and 1999. Confirming the development, Animashaun, said though the workers and pensioners were excited about the approval for payment of their severance benefits, they want Buhari to ask questions on how the airline was ruined. He said the President should go beyond asking questions but insist on the implementation of the recommendations in the White Paper released by the Justice Obiora Nwazota Judicial Commission of Inquiry. Animashaun said looking into the recommendations of the White Paper could not be more timely than now, when the Justice Nwazota is still alive to give credence to the contents of the document. He said ex-Airways workers would want Buhari to push for the prosecution of politically exposed persons who were indicted in the White Paper, but hid themselves in the political landscape, untouched. “Though we thank President Muhammadu Buhari for approving the release of our severance benefits, we learnt the President has started asking questions on what led to the collapse of the former national carrier. Beyond asking questions, Buhari must ensure government goes back to the white paper and institute a commission of inquiry, more so that Justice Obiora Nwazota is still alive. “Every recommendation in the white paper should be implemented to the letter and the names of persons indicted in the report should be prosecuted. It is only when government does this that the wounds inflicted on the psyche of former workers of the rested national carrier would heal”, Animaseun said. 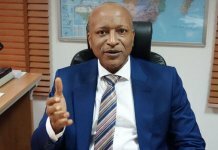 Industry stakeholder and CEO of Centurion Security, Group Captain John Ojikutu (retd) said that President Buhari was determined to probe those that destroyed Nigeria Airways. “Buhari did not just ask questions about what destroyed the Nigeria Airways; he spoke about probe early this year, in February. It is those politically exposed persons that started the talk of Air Nigeria in place of Nigeria Airways in 1992/93, Virgin Nigeria, and even now, the not too transparent Nigeria Air. But it will be difficult,” Ojikutu said. While the beneficiaries of the severance payment commend the federal government, they noted that the process of verification is ridden with hiccups. THISDAY spoke to industry stakeholder, Chris Aligbe on Wednesday who is a beneficiary and he said that the verification is slow because of inadequate equipment and personnel. “I am sitting at the verification centre and waiting to be verified. Things are not going the way they should. There is inadequate equipment and personnel are not enough. We commend the federal government for making this possible, however,” Aligbe said. Prelude to the establishment of Nigeria Airways Limited, Nigeria had started getting regular flights from the British Overseas Airways Corporation (BOAC) and in 1958 Nigeria’s national carrier was established. NAL held sway until it was liquidated in 2003 but before then the industry was deregulated which opened the market for private investors to establish commercial airlines.